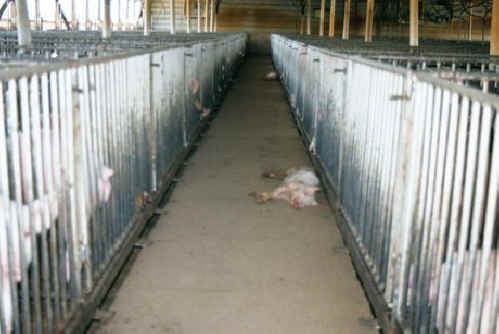 (Pig Exploitation - Factory Farming - 36) As the two dead pigs testify, death is a common occurrence on these factory farms, . It is not mourned. It is considered only a statistical loss on the farmer's balance sheet.